Select Size Choose an optionLarge 60x90cm / 24x36"Medium 45x80cm / 17.5x31.5"Small 34x54cm / 13.5x21"X Large 90x140cm / 36x55"
The original Cool Gel Mat uses a unique gel that stays cool with no activation. Super cool – perfect for your pet on hot days. Our mats are top quality, being thicker and tougher than many other cool gel mats. Is your dog young, old, long coated, flat-faced or on medication? The AniMat is a beneficial aid for them. Is your dog fit and active? 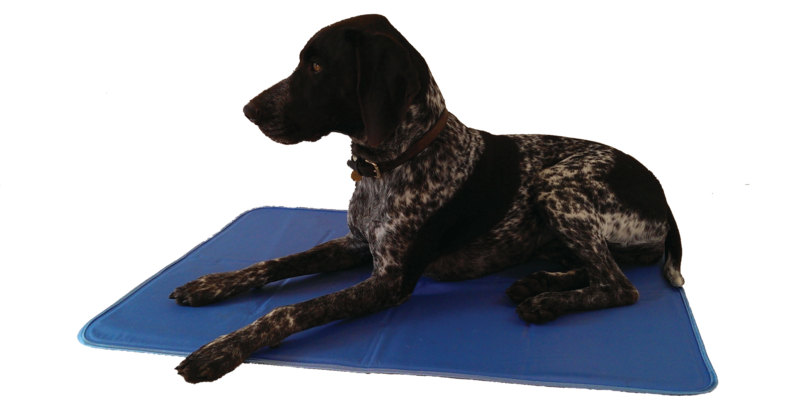 Dogs can easily overheat after enthusiastic exercise or play; using the AniMat Cool Gel Mat is the ideal way to cool your dog safely and effectively. 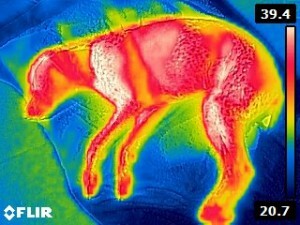 AniMat Cool Gel Mat is clinically proven to lower a pet’s temperature by direct touch reducing the risk of potentially life threatening effects of over heating from heat-stroke, stress, dehydration,lethargy and loss of appetite. 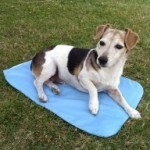 Comes in two variations, the dark blue nylon is easy to clean whilst the cotton mat is non-slip is perfect for older dogs who may struggle getting up. 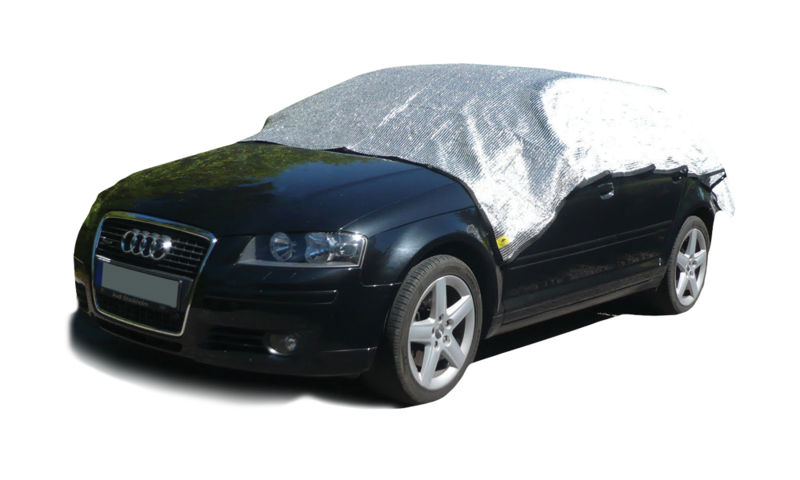 Alternatively use one of our made to measure machine washable covers. 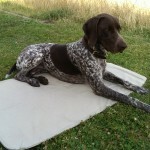 Perfect for use at home, work, travel, kennels, camping or on holiday. Tough and durable – even cats claws! Size recommendations: Small – for cats, Jack Russell Terriers, small Border Terriers. Medium – for Spaniels, larger Border Terriers, Cockapoos. Large – Labradors, Collies, German Shepherds. X Large – Long haired German Shepherds, St Bernard’s, Pyrenean Mountain Dogs. 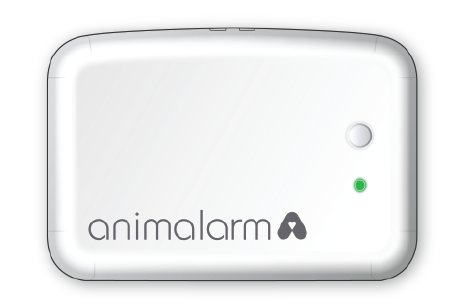 Top Tip for when you are out and about: If you use your AniMat in a vehicle, if the vehicle is going to warm up inside when you are away from it and you want the AniMat to be cool on your return, fold the mat up and either place under the front seat, your dogs bed or blanket and it will be really cool on your return for your dog! Shipping: Small mats are delivered via Royal Mail 1st class delivery. Medium, Large and X Large mats and multiple orders are delivered via UPS next day delivery for orders before 11.30am. 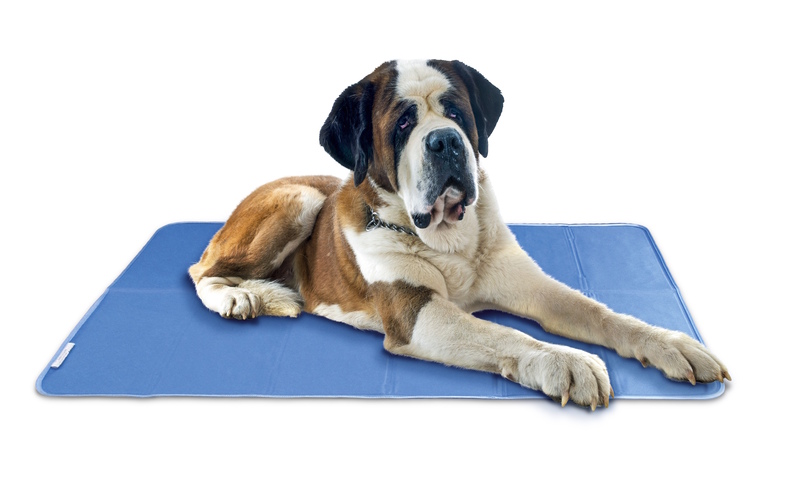 Cotton covers for AniMat Cool Gel Mat – available in Cool Blue or Flax. I have an Old English Sheepdog puppy and she’s only been on short journeys, but would drool. This product was more expensive than others on the market, but I felt that it was better quality, safer (as my dog is a puppy and so would probably chew), and more fit for purpose. I also purchased a cover for the mat. 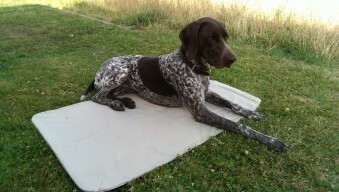 I am so pleased with this product that I have now bought another size, as well as a cover, to keep in her kennel. 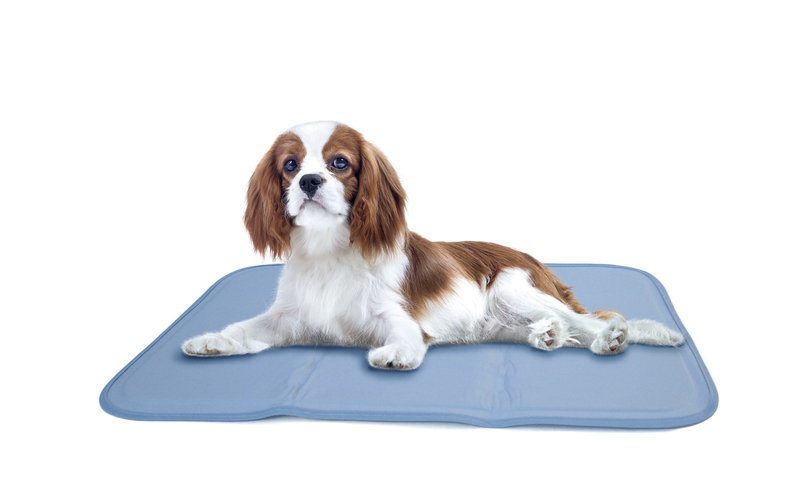 Mackie the Cavalier King Charles feels the heat badly and these mats are a real help. He is laying on one right now in the shaded conservatory and as he uses it so much I’ve ordered another large one and a medium one so that I don’t have to keep moving them. Don’t know how we managed without one. Also got a dog coat, as yet untried but have every confidence it will help. My much loved Briard, Barney is 10 1/2 and recently started having seizures (in the new moon). They last about 4-5 minutes and it’s always so painful to watch. 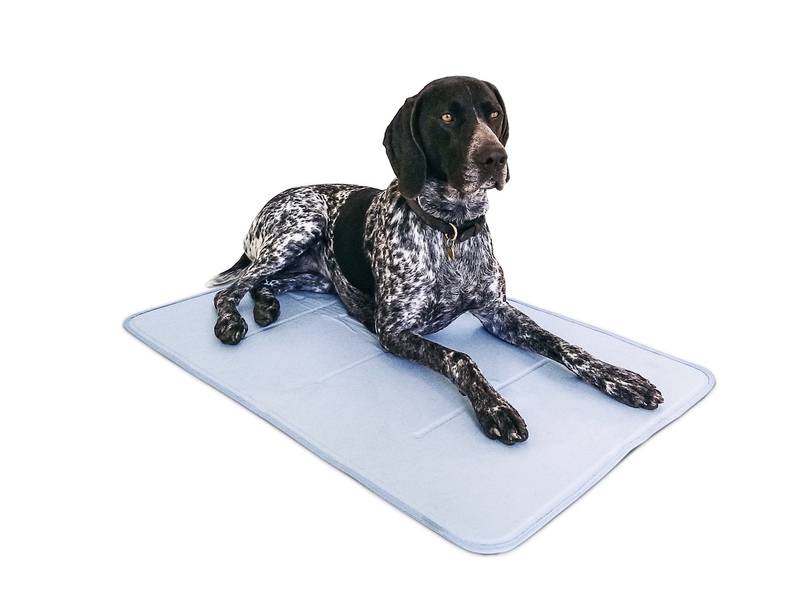 Our fantastic holistic vet, Nick Thompson suggested we get this gel mat to help him cool down quicker after a seizure and as he is a long haired heavy coated animal to also use as a bed in the summer. Two days after it arrived Barney had a terrible seizure and ended up with pneumonia and a temperature of 42! 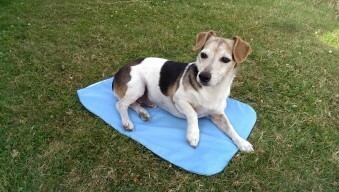 I actually believe we would have lost him if we hadn’t had this mat, it is a godsend and we were able to get his temperature down much quicker. Thank you so much for making such a wonderful product, easy to fold up and take anywhere and just wash with a wet cloth. Every long coated dog should have one. Have had these mats for over a year now, and they are a god send for days out and about in hot weather. Use these to help my Leonbergers on hot days keep cool on car journeys and at events. No dogs in our household at present, but the Cats love them. We find so useful for ourselves too, Hotel rooms /cars/vans without aircon – use the mats to keep you cool. 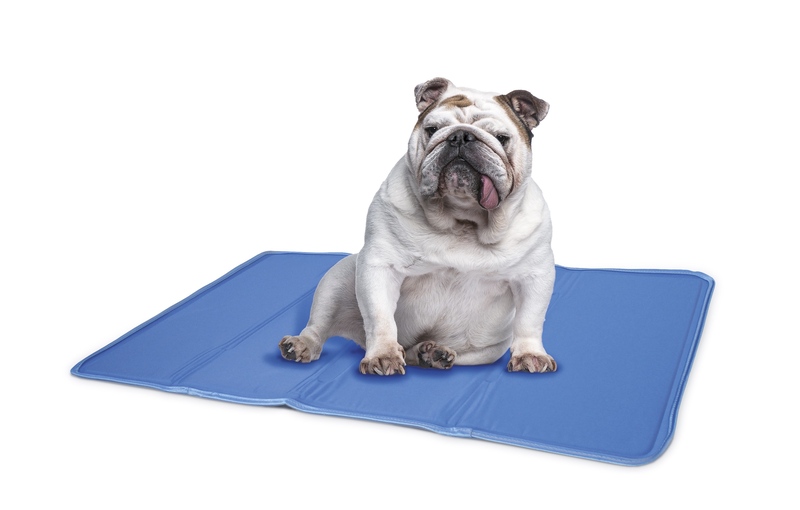 Too hot at night in bed – cool gel mat – fantastic. Thank you from us all.